Hello folks! I would like to share with you a way of building a simple yet effective palette I invented/discovered this summer, in order to make paint last longer and save valuable time and money when it's really hot. Note1: This was created specifically to deal with HEAT (more than 80F / 26C) and LOW AIR MOISTURE. As of today, march 13, it's the end of the summer and it's still quite hot and dry where I live, in Chile, the southern hemisphere. IT HAS NOT BEEN TESTED DURING OTHER SEASONS OR WEATHER CONDITIONS; anyone willing to try this is encouraged to do so! 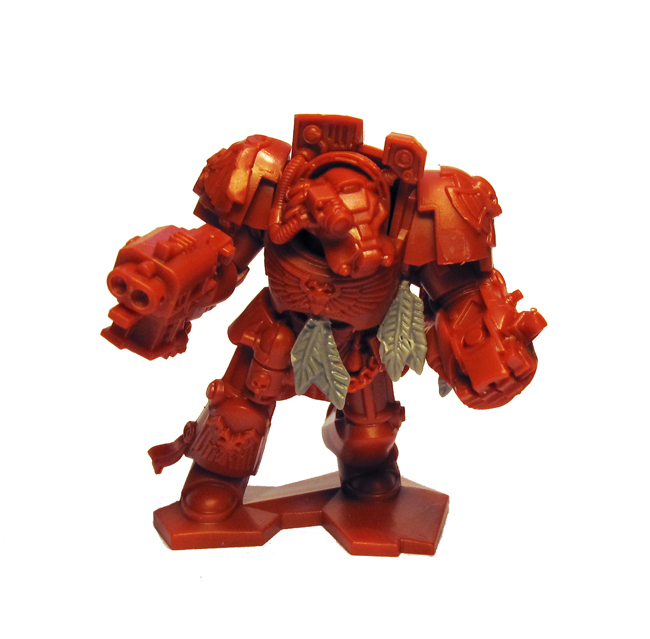 Painting red armour with battle damage. 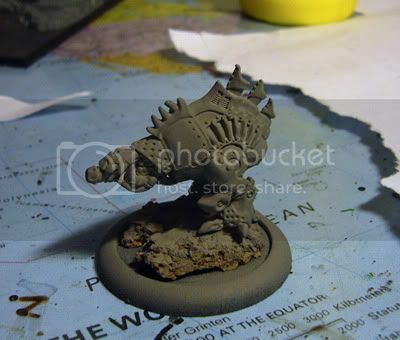 undercoat black, i pretty much paint everything from a black undercoat. paint the areas you want red with scab red, try to get a smooth coverage. Almost one year ago I've started to collect my SM army. 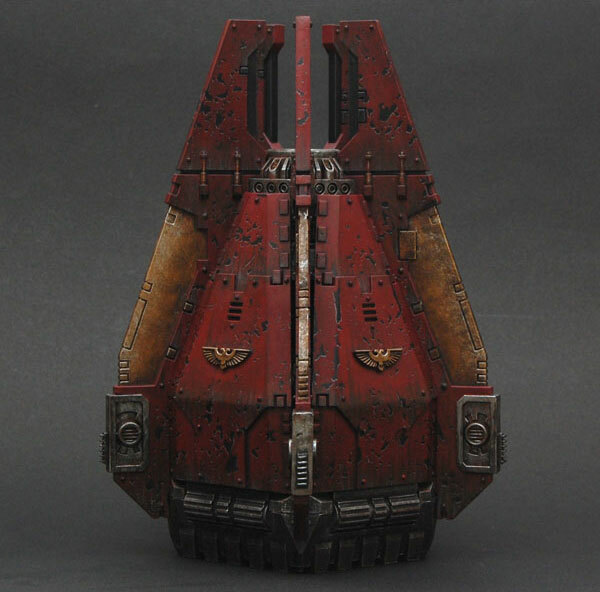 I've an idea to have army on Drop Pods instead of Rhinos. The most important thing was that I wanted to have a 'real' looking pods, which wasn't an easy thing because of the lack of drop pods in real life. 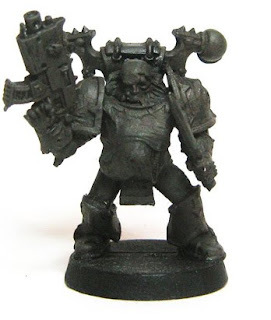 There was only one pod in SM Codex (white Scars), which looked quite nice, but I've got an idea to push weathering and battle damage to the next level. With brush and paints I've started to develop my pods. In this tutorial I'll only write about 'rusty gold' because many people ask me how have I done it. This tutorial will show you how to create realistic tank tread weathering. Not surprisingly I'm using pigments from Secret Weapon Miniatures, but the same effect can be achieved with any brand -- although the colours may vary slightly. Since I play wood elves, I wanted to make a nice forest, to use as my free wood. I wanted it to look as good as possible, while still be pretty easy to make. I also wanted something portable. I read several tutorials online and came up with this method. * A piece of styrofoam, the size of your desired forest, about 1" thick. More is ok.
* Sand, regular sand pit stuff will do. Cut 8x 8” sections of wire for each tree you want to make. less branches add or subtract 2 wires. they fit on the base you are using.